I have for you five little tricks that I share in my onsite de-escalation workshops. These ideas will help you be far more successful in getting customers to accept your word as final. Your words of regret help you come across as genuinely concerned and helpful. When customers feel you’re concerned and willing to help, they’re more likely to accept your word as final. Saying something like, “I can appreciate how frustrating this must be for you” is perfect. It’s important that you sound confident when you tell the customer what you can’t do. Otherwise, some customers won’t take your word as final. They’ll push and ask to talk to someone higher up. Here are some of my tips for sounding confident. 3. Assertively make your point. 4. Make sure you don’t overpromise. Two weeks ago my flight to Austin canceled due to tornadoes in Tulsa, where I live. I called my hotel to cancel the reservation and was told that I’d still have to pay for one night’s stay because I didn’t cancel 72 hours in advance. I was impressed. The employee didn’t overpromise, so there was no need for me to get upset if the final answer was that the cancellation fee indeed would stick. 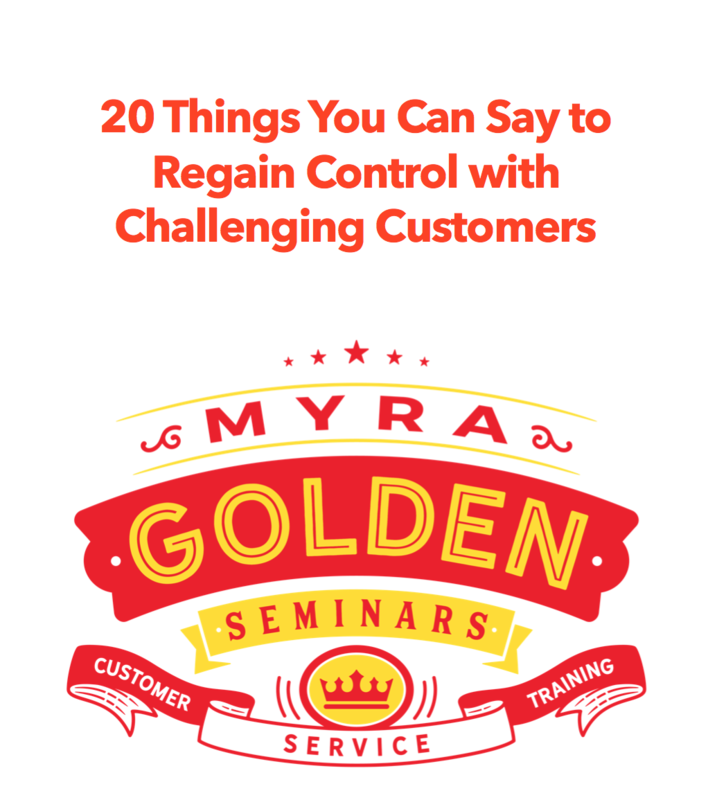 When I managed a call center, I had my employees come up with the top 20 reasons they had to say ‘no’ or refuse a customer’s request. Then, in teams, I had my people recall, or in some cases develop, their best responses to these situations. In the large group with all employees, we decided on the absolute best ways to deliver bad news, refuse a request or say ‘no.’ Then we typed up all of the situations and responses and shared them with the team. This exercise gave us immediate responses to the most challenging interactions, and it boosted the confidence of the entire team. If customers sense weakness or a crack in your response, many will just seek to go over your head. Any one of these tricks alone will boost your success in getting customers to accept your word as final. But combined, you’ll be unstoppable!